August is the time to FLY and design the life you love™ – why not help others experience extra income, fun and community with you? Only August 1 at Noon CT – August 15 at 11:59 p.m. CT, we’re offering our limited-time Design the Life You Love On-the-Go Kit for new Designers who want to start their Origami Owl® business at a super low cost with all the key items they need to get their businesses off to a flying start! The pack of Fall/Winter 2018 Take Out Menus and Designer Charm will ship to the New Designer for free! We know many of your team members have not yet used Hoot Loot before, so here’s how you can coach your newest Designers on how they can redeem their Hoot Loot to create their custom jewelry kit. Please note, the New Designer will pay taxes and shipping on their Hoot Loot order. “Hey (NEW DESIGNER NAME)! Welcome to Origami Owl and my team! I am so glad you decided to join me and start your Origami Owl business. Because you chose the limited-time, On-the-Go Kit, I wanted to make sure you were aware of how to use your $100 USD | $130 CAD wholesale value Hoot Loot. 1. Log in to your Back Office by going to OrigamiOwl.com/Login and enter the username and password you chose during sign up. 2. Go to Shop > Jewelry and add the jewelry you wish to purchase to your cart. Remember, you have $100 USD | $130 CAD wholesale! Purchasing a Large Silver Living Locket® can be a great base for any Locket you choose. Next, a few Charms from our latest Fall/Winter 2018 Collection that capture your story will be great to share our freshest jewelry. 3. During checkout, you’ll type in the amount you want to use and then hit “Apply.” You’ll see the amount credited in the Order Summary on the right. Note: Your Hoot Loot credit expires in a year. Please note, if you have past Designers who have been out of the business for over six months, they will be able to rejoin with this limited-time kit and can do so by selecting the “rejoin” button on your Personal Web Page. If they need further assistance, please encourage them to email CGSupport@OrigamiOwl.com with their name, Designer ID, their best phone number, and which kit they would like to rejoin with. If a Designer recently converted to a Customer due to inactivity and wants to reactivate, please have them also email CGSupport@origamiowl.com. Here are FAQs on the promotion. Whooo Should Try the Limited-Time, On-the-Go Kit? This is a great option for ANYONE on-the-go who wants to stash their Take Out Menus in their purse or share Origami Owl from their mobile device. 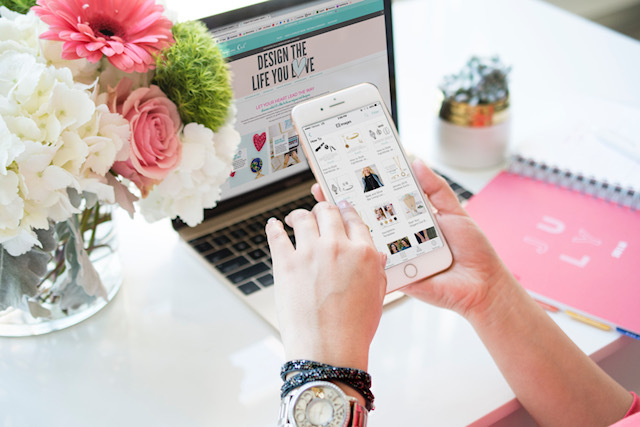 So, if you know a busy mom, Customers who want to give the business a try and really anyone who wants to design the life they love, then this is the perfect time to get started! And remember: Your New Designer can always join with the new Fall/Winter 2018 Starter Kit or Silver Business Builder Kit, and earn this month’s Designer Exclusive look, too! You’ll be growing YOUR team, earning DOUBLE Tropic Points toward our new incentive trip and earning extra money in August when you share the Origami Owl business. *Please note, retail value of jewelry will vary based on jewelry purchased. Upon redeeming Hoot Loot, taxes and shipping will be covered by the New Designer. **New Designer MUST opt-in during enrollment for the three-month FREE trial of the My O2 Connection app. Free trial cannot be reinstated after the enrollment process if it is rejected. +New Designer must achieve 100 PV by August 31, 2018 at 11:59 p.m. CT to receive Designer Exclusive look. Sponsor must also achieve 100 PV and their New Designer must achieve 100 PV by August 31, 2018 at 11:59 p.m. CT to receive Designer Exclusive look. Note: New Designers and their Sponsors who earn the incentive will receive one (1) August Designer Exclusive. If more than one is earned, substitutions may apply. Available while supplies last.